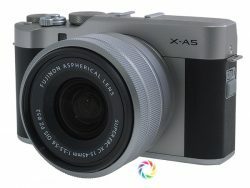 The compact and low-cost Fujifilm X-A5 was just reviewed at Neocamera! This entry-level gives users a new low prince-point to enter into the X-mount family of mirrorless digital cameras by Fujifilm. The new X-A5 offers a 24 megapixels CMOS sensor with 1.5X crop-factor – just like the sensors most current entry-to-mid range DSLRs use – in a relatively compact and easy-to-use body. With dual control-dials, a traditional mode-dial and a number of external buttons, including one customizable one, the X-A5 is potentially easier to use than most entry-level mirrorless cameras on the market. Fujifilm managed to deliver 4K Ultra-HD video, albeit at only 15 FPS, in a low price-point while incorporating a Hybrid AF system that combines Phase-Detect and Contrast-Detect in one system. There are quite a few surprising features in this small camera, including Focus-Stacking, built-in HDR, deep braketing, an Interval Timer and Time-Lapse Video modes. Read the express review of the Fujfilm X-A5 at Neocamera to learn how this camera delivers on its premise and performs compared to its peers.